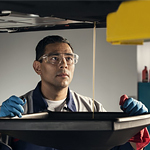 At Community Motors, we get service appointments all the time because there is fluid leaking from someone’s car. There are quite a few common fluids that might leak, so you will be able to know what’s going on. If you notice a puddle under your vehicle in Hammond, it’s important that you can describe it when you make an appointment. At Community Motors, we know that car owners are concerned about preserving the value of their vehicles. 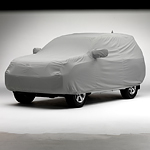 One excellent way to do this is to invest in a car cover to protect your vehicle's exterior. 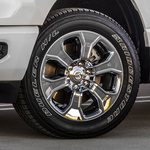 Here at Community Motors, we could not be more excited to share a few of the reasons the new Ram 1500 is the must-have popular light-duty pickup truck of the year. Unlike the systems on older vehicles, the new Ram 1500 comes with the Adaptive Cruise Control system for making driving easier and safer. Thanks to forward mounted sensors, radar technology scans ahead on the road for a lead vehicle after the desired speed is set so that your vehicle is always maintaining a safe buffer by braking and accelerating accordingly. 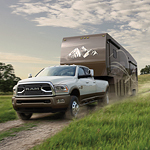 For a heavy-duty pickup truck that packs plenty of power into its innovative design and still offers the technology upgrades and comfort features drivers want, the Ram 3500 is the answer. Continuing to impress drivers with its towing capacity is just one facet of what makes this powerhouse truck such a popular choice. The 2018 Dodge Grand Caravan is a well-rounded minivan that offers your family safety, comfort, and entertainment. 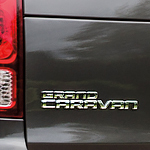 The 2018 Grand Caravan is a popular choice among consumers because it comes with a number of innovative technology features. We invite you to read our content below to learn more about its technology features. 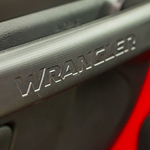 The interior of the Jeep Wrangler is rugged with a number of premium features. The trim level will determine some of the basic components, including whether the seats are upholstered with cloth or leather trim. If you spend a lot of time at the beach or the mud, you will love knowing that the Wrangler can be hosed out. Drain plugs make it easier to drain out any remaining water, too. Are you looking for a vehicle that not only fits your family's style but also gives you all the safety features to keep the whole crew safe? The Chrysler Pacifica is a popular family minivan that delivers both the form and function that your family needs. 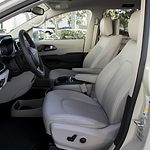 Both you and your passengers can stay comfortable when you're driving the 2018 Dodge Journey. 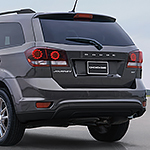 Dodge is offering a couple of great climate control systems for this popular mid-sized SUV. A sedan has to be able to do more than just look good; it has to be able to perform on the road in most kinds of conditions. 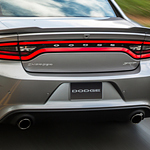 The Dodge Charger can do all that and a whole lot more. When you want high-tech to be part of your daily drive, you’ll want to own the Jeep Grand Cherokee. Its Uconnect® systems keep you entertained while keeping you up-to-date on information that you need to know. The Navigation features can steer you in the right direction and SiriusXM Guardian™ lets you remotely access vehicle features from the convenience of your smartphone. 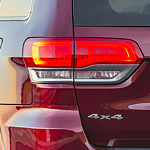 The advanced technology continues with safety conveniences like Parallel and Perpendicular Park Assist. This feature manages the steering wheel while you take care of accelerator, brake, and gear shifting.